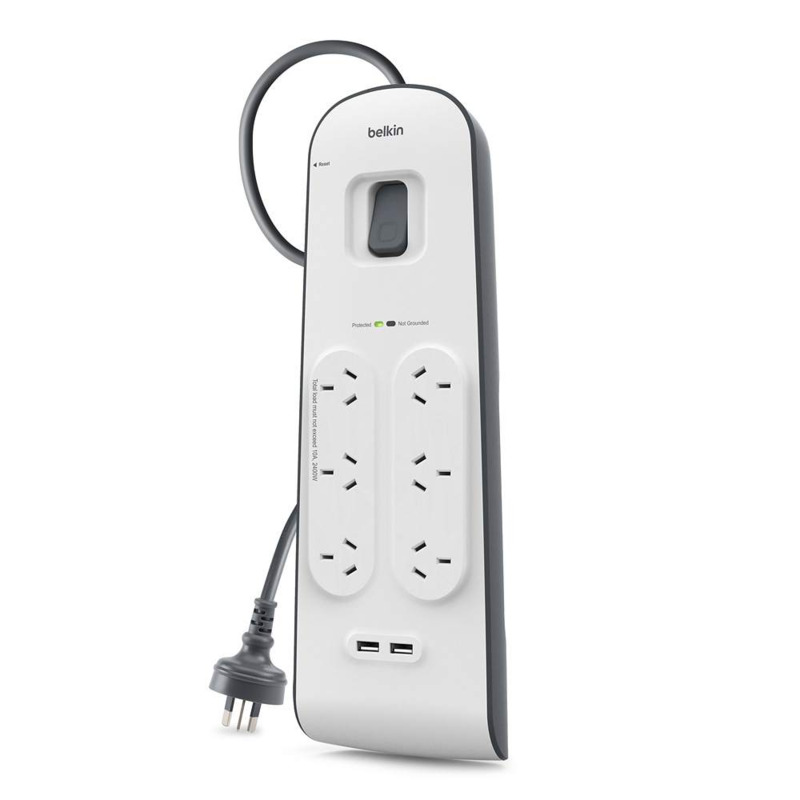 Connecting your electronic devices to the Belkin Surge Protection Strip protects them from unexpected power surges, such as short circuits and lightning strikes. 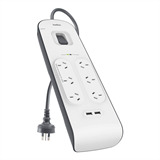 The surge protection strip also keeps your devices safe from sudden voltage fluctuations or low-level spikes and drops that can damage or even destroy electronics over time. Charge your portable devices quickly while protecting them from damage and data loss thanks to two integrated USB ports. 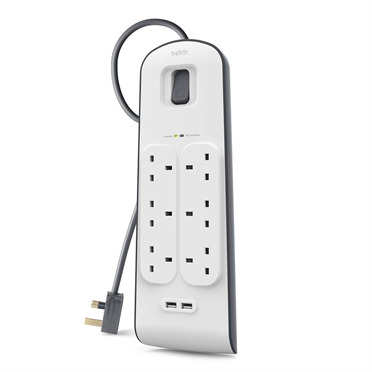 Ideal for smartphones, tablets, these USB ports charge at 2.4 amps, offering faster charging times than traditional USB ports, with added protection. 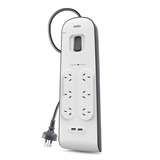 Protect your connected devices while keeping the Belkin Surge Protection Strip out of the way thanks to a 2-meter power cord. 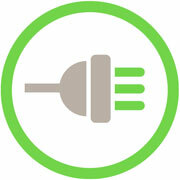 A heavy-duty design helps protect the cord from damage and ensures optimal power flow to your devices. 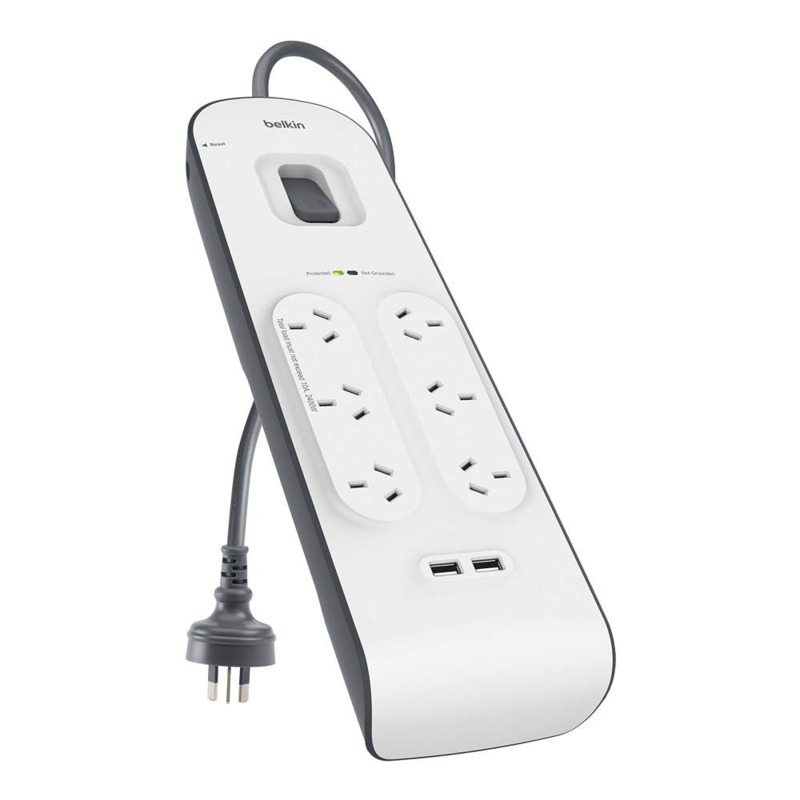 The Belkin Surge Protection Strip keeps connected devices safe with three-line AC protection. This type of protection guards against surges that occur between hot, neutral, and ground lines. 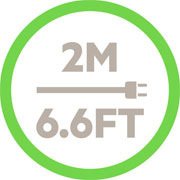 This surge protection strip comes with a Connected Equipment Warranty, which means we will repair or replace electronic equipment damaged by an electrical surge or lightning strike while properly connected to the strip, up to $30,000.